Along with drainage, it is also a good idea to make sure the plant are not in an area where water flows strong during downpours. Nothing is worse than spending lots of time on a garden only to have plants uprooted and swept away during a heavy thunderstorm. Another thing to consider is proximity to water, such as your outdoor spigot, so you’re not dragging hoses long distances. Makes it easier for harvest as well. Also, if you are near a creek, you can use creek water via a small pump to water, just make sure you are far enough away to avoid flooding disasters. Finally, it’s a good idea to do a soil test in the location you choose (check with your local Penn State Coop Extension). Not just for nutrients, but for the possibility of anything harmful in the soil. This is especially true if you have an older home and want to put the garden next to the house. In some cases, there may be lead in the soil from paint chips, given paint had lead in it at one time. So, if you are beginning a garden, best of luck! 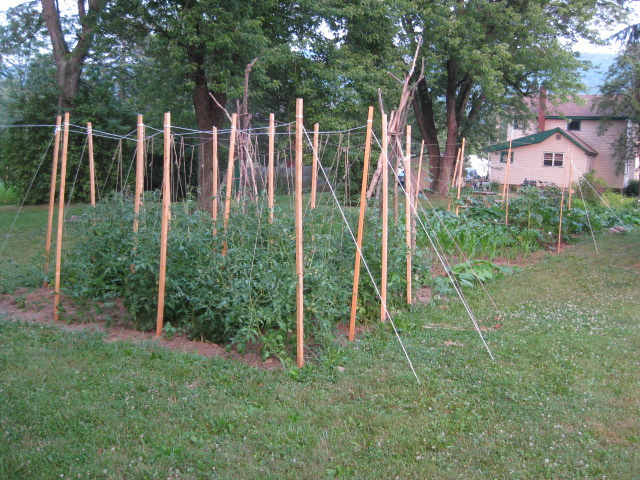 If you plan out the location, you should have a garden that will produce for years to come.